warmer than ordinary tights. Plus these are a size small and fit nicely over my bump without having to squeeze into it. 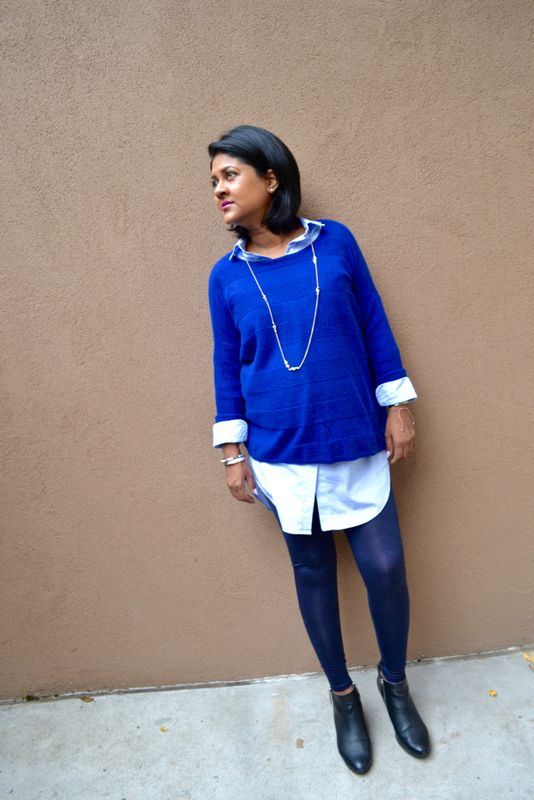 Sometimes I think I need to reconsider what my favorite color is because I find myself wearing blue so often. 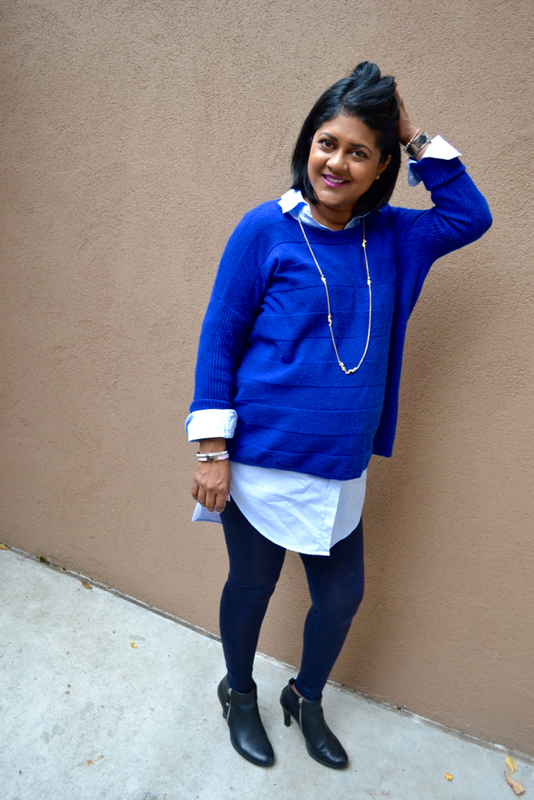 Here I wore my Zara shirt dress, from this post, and layered this cashmere sweater that I have had for years over it. 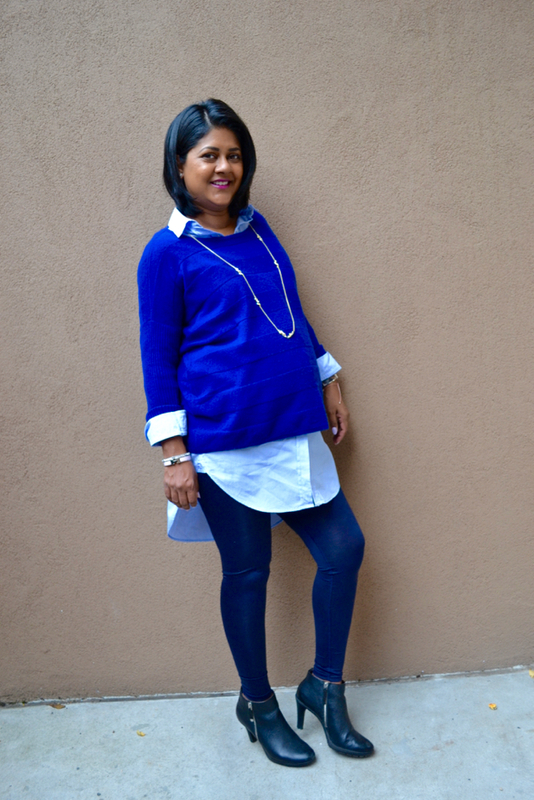 Add navy Uniqlo tights and you have a simple and easy outfit pulled together from your closet. Simple is key!